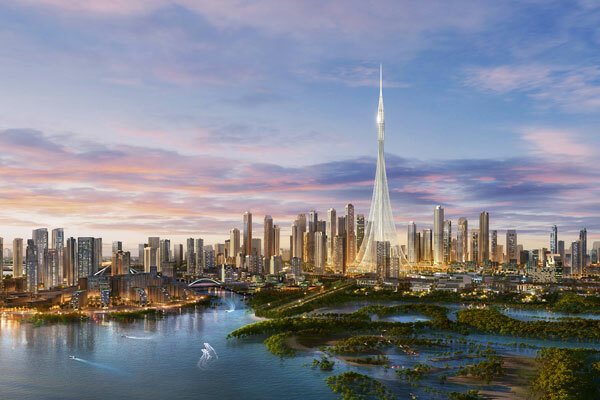 Leading UAE property developer Emaar said its 6-sq-km mega-development, Dubai Creek Harbour is set to record an uplift in residential property prices by an average of 30 to 40 per cent in the short-term thanks the presence of several iconic projects. Dubai Creek Harbour, located only 10 minutes from Dubai International Airport and the iconic Burj Khalifa, features top attractions such as the Dubai Creek Tower and Dubai Square, the newly-unveiled retail metropolis of the future, the prestigious waterfront development by the historic Dubai Creek is well-positioned to set new benchmarks in value appreciation and returns on investment (ROIs). This makes the residential launches in Dubai Creek Harbour a compelling purchase for investors, said the Dubai developer. A comparison with the appreciation in property prices in Downtown Dubai with neighbouring developments gives strong evidence to the remarkable value that Dubai Creek Harbour investments will also deliver for customers. Since the opening of The Dubai Mall and the grand inauguration of Burj Khalifa, residences in Downtown Dubai, have recorded continued appreciation in property prices – in both the primary and secondary markets, it stated. As the most sought-after residential location in Dubai, homes in Downtown Dubai that were developed by Emaar have continuously recorded a strong investor and market response. Market reports for July 2018 show the average price per square foot of residential property in Downtown Dubai was 38 per cent higher than in residential developments in Business Bay. Market estimates project that Dubai Creek Harbour is set for similar or greater appreciation in property prices. Driving this is the Dubai Creek Tower, an iconic observation tower set to welcome millions of visitors annually. Dubai Square is also expected to lend further traction to residential property in the mega-development. At 2.6-million sq m, it will be an astonishing retail, hospitality and residential district for the future. The first homes in Dubai Creek Harbour will be handed over next year, with the progress in construction strengthening investor confidence. Dubai Creek Harbour will be the closest lifestyle destination for the millions of visitors passing through Dubai International Airport.